When Ben Carniol, a distinguished social work practitioner and scholar, came to Wilfrid Laurier University late last year for the Indigenist Research Symposium: a Gathering of Knowledge Seekers, he knew he was finding his second home. 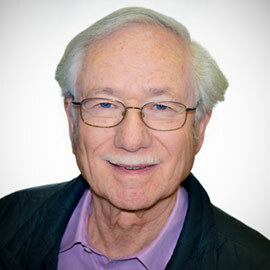 The connection was so strong that he will now be spending time at Laurier in an official capacity, as the Lyle S. Hallman Faculty of Social Work’s Scholar-in-Residence. Carniol is professor emeritus at Ryerson University, where he served as a professor in the School of Social Work for two decades and, more recently, as program coordinator to implement agreements between First Nations Technical Institute (FNTI) and Ryerson University that deliver off-campus Indigenous-based social work education to Indigenous students. He is the acclaimed author of the last six editions of Case Critical: Social Services and Social Justice in Canada, and is co-author of the next edition to be released in March 2017. "Social work was such a young profession when I began my career in the 1960s — there wasn’t much awareness about inequalities and poverty issues. And yet, despite this I found myself being drawn to the field." Throughout his career, Carniol has been an active academic, volunteer and keynote speaker on social justice issues in Canada. At five years old in Belgium, his parents and his rescuers arranged to hide his Jewish identity, which enabled him to survive the Holocaust. After the war, he was brought to Ottawa, where he lived with an adoptive family of relatives, and later attended Carleton University. Following the completion of law and social work degrees, his career in social work began in Cleveland, Ohio, where he worked with grassroots, community organizations to improve public services in the fields of housing, education, welfare and police relations. “Social work was such a young profession when I began my career in the 1960s — there wasn’t much awareness about inequalities and poverty issues,” says Carniol. “And yet, despite this I found myself being drawn to the field. After years in Ohio, Carniol was convinced by friends and family to move back to Canada, where he worked in Montreal for various not-for-profit agencies until 1973. He then moved to the University of Calgary, where he supervised over 25 graduate student theses and taught courses in community work, social action and law. In 1983, he and his wife decided to move back to eastern Canada, where he took up a position at Ryerson University. Over the most recent 13 years there, Carniol has been working mainly in the Indigenous access to education area. Through the university’s partnership with FNTI, he co-taught courses with Indigenous elders Jim Albert and then Banakonda Kennedy-Kish Bell, who is the elder-in-residence in Laurier’s Faculty of Social Work. For Carniol, attending the research symposium on Indigenous research at Laurier helped reinforce the uncomfortable realization that social issues of injustice and inequality involve all Canadians. At Laurier, Carniol will continue working on issues connecting Indigenous youth and social work through the Aboriginal Field of Study, connecting his previous passion for working with people in disadvantaged situations.